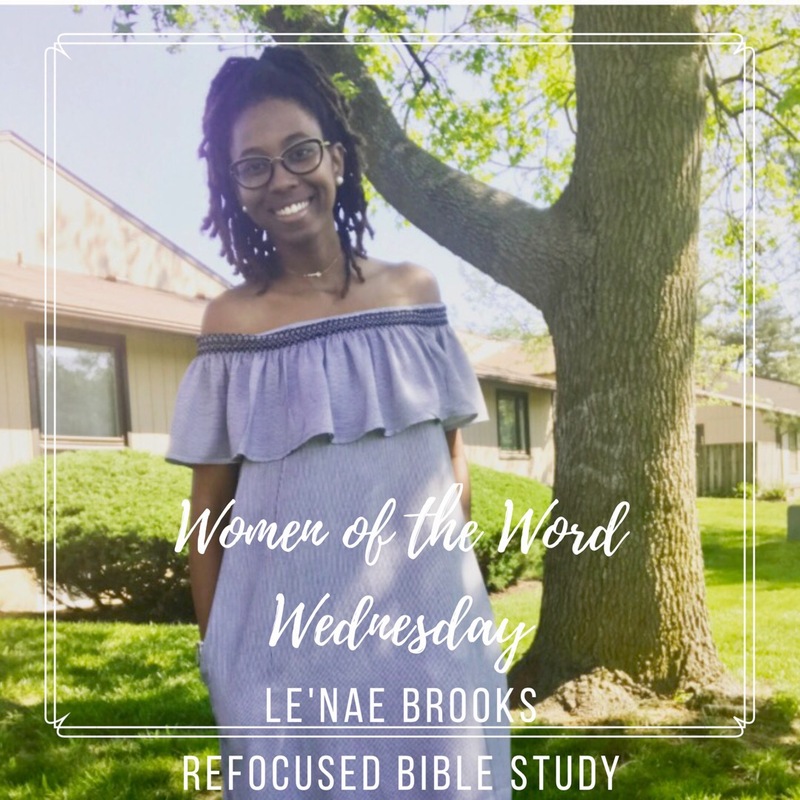 It’s Women of the Word Wednesday here at Refocused Bible Study! This project is near and dear to my heart. Every Wednesday, a fellow blogger will share with us how the Lord spoke to them through the day’s chapter. 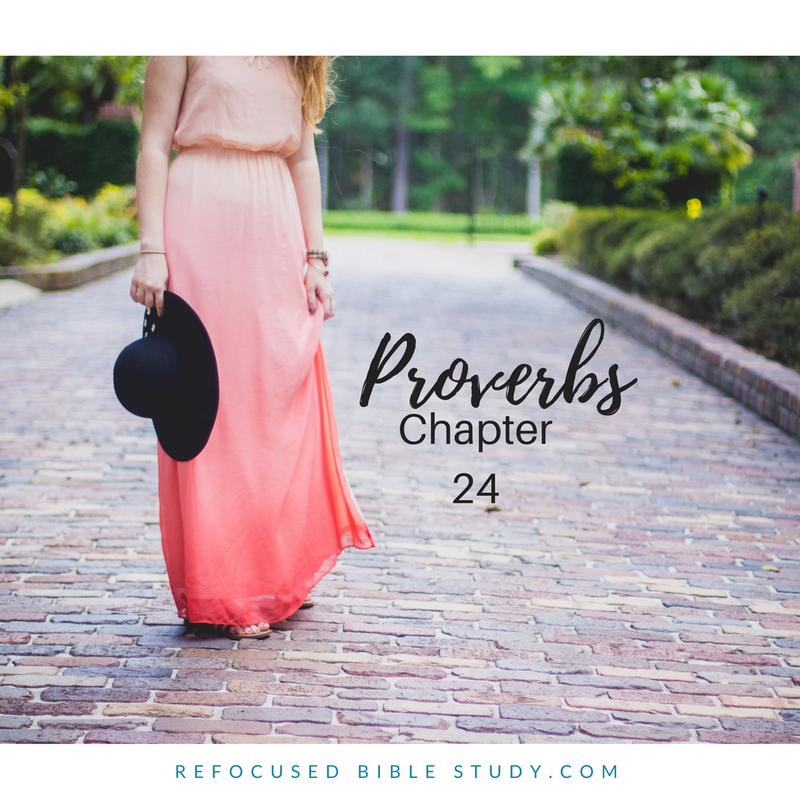 Le’nae Brooks from Fancy and Fearless has a challenging message for us based on the first two verses of Proverbs chapter 24. I love her willingness to share from her heart about a struggle all of us have felt, even if we haven’t articulated it to another. Let’s shake off comparison and envy as we read what the Lord gave Le’nae to share with us. “I believe that ministry calls for transparency. Can I be transparent with you for a minute? As soon as Amy gave me the list of scriptures to meditate on, the Holy Spirit told me Proverbs 24. I turned my bible to Proverbs 24, and started to sink in my chair. I was doing what The Lord says not to do according this chapter. I said to myself “this is going to be a long study session.” This was the second time I was reading and writing about this particular issue. I finally received it, and I pray that you will too after this post. Lets dive in! Envy: A feeling of discontented or resentful by someone else’s possessions, qualities, or work. They have a husband while you are waiting on God. They have a children while you are praying for God to bless your womb. They have that degree you want while you can’t afford to go back to school. They have the car you want/need while you are getting denied loan after loan. This a big one: They may even have the ministry the Lord said you would have (everyone is not in ministry for the right reasons), but you are waiting for God to release you to start it. Get this; you may not envy a women in the world. You can envy your fellow sister in Christ. You can envy their blog. Envy how many followers they have. Envy their beautiful pictures. Envy their ministry. Envy their relationship, or marriage. Envy how God is using them! Don’t worry ladies. I have envied both. I looked at everything listed above! 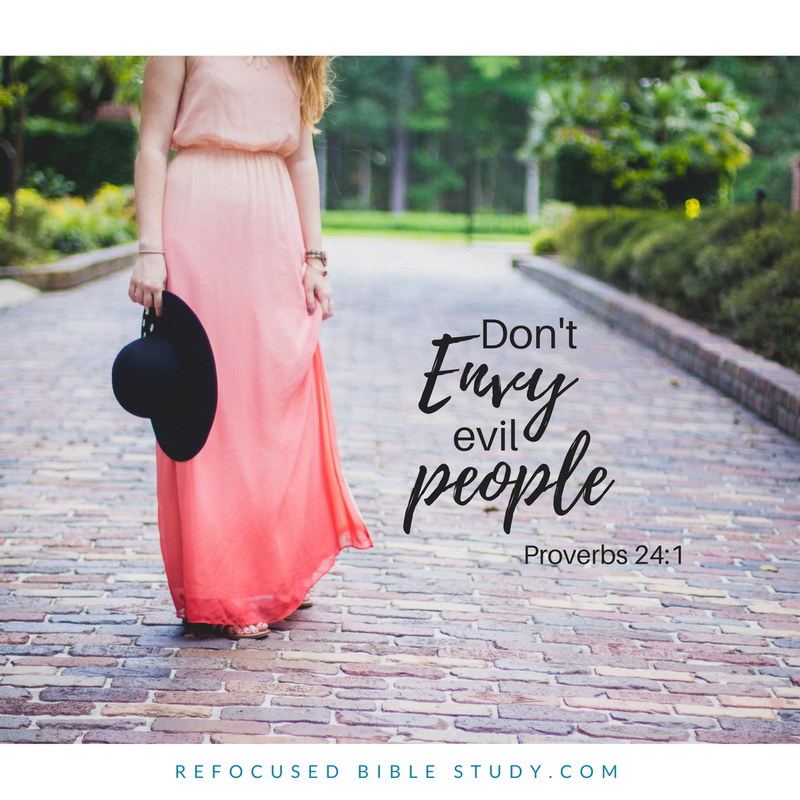 An envious spirit is from the enemy. Do you know what the enemy wants you to start doing once envy has taken up root in your heart? He wants you to compare yourself to every woman you see. The root of comparison is envy, unworthiness, inadequacy, doubt, fear, and rejection. If you have done, or are doing what is listed above, get to the root of why you are envious. I believe God is doing a work in us this season. He is equipping us for the next level for His ministry here on earth. That means getting free from such spirits that are causing us to stay stagnate, and causing division amongst our sisters. It ends today! Ask the Lord to reveal what has taken up root in your heart, and decree and declare your freedom. Everyone’s journey is not the same. You do no not know what that person went through to get to where they are now. Admire them, but don’t seek to be like them, or have what they have. You have your own unique calling, gifts, and destiny that no one can fulfill, but you. Wisdom: The quality of having experience, knowledge, and good judgment. The Lord will give you all that you need, but you have to trust Him, and seek Him. A wise person waits on the Lord. A wise person puts their trust, and hope in the Lord. A wise person listens for His instructions, and follows wherever He leads. How the Lord builds you up may not be the same way as the next person. While you are waiting for a husband, job, ministry, degree, family, or a promise to be fulfilled seek provision from your ultimate source. He is your ever present help. Seek His way! He will not lead you in the wrong direction. A person’s steps are directed by the Lord. How then can anyone understand their own way (Proverbs 20:24). Your steps are already ordered. Here comes the two boys who we know as Esau and Jacob. The boys grew up and Esau was a hunter loved by Isaac. Jacob was content to work in the tents loved by Rebekah. Let’s skip to Chapter 27 Isaac was dying and wanted to give Esau his blessing. Rebekah heard what was going to take place, and I can imagine her face. The Lord spoke to her and said that the older will serve the younger. Now if Esau gets Isaac blessing he will be the next leader. Rebekah then tells Jacob to pretend he is Esau to get his father’s blessing(Genesis 27:8-17). She even stated “Let the curse fall on me. Just do what I say.” Jacob did just that. He deceived his father into thinking he was Esau, and he was giving his father’s blessing. Esau now held a grudge against Jacob, and wanted to kill him. Hey there beautiful. I’m Le’nae Brooks. I am twenty seven country girl living in a small county in Maryland. I started my blog as another way for me to share what is on my heart. After I shared my baptism video, and story I started to share my journey with Christ. As I started to mature in Christ my posts did a shift. In 2016 I created a new website with the sole purpose to inspire women to live a faith based, purposeful, creative, and fearless lifestyle. I love encouraging women with the word of God. It is beautiful, and alive! The Lord is doing a great work in me, and through Fancy&Fearless and I can not wait to see what He has in store! Outside of blogging, I am a full time student at Bowie State University studying Child and Adolescent Studies. I work full time as a contractor for a small company. I am a Sunday school teacher, praise dancer, reader, writer, coffee lover, fashionista, and your sunshine on a rainy day! I would love to hear from you! I couldn’t agree more that everyone’s journey is not the same. And oftentimes, our ways are not His ways. In a world where the shoes, purse and work title that we have are looked upon, we must stay in tune with our uniqueness. Love this post in so many ways!